Hello! Welcome to another papercraft challenge. So, whatever you join in with, you have a chance of winning three digistamps of your own choice from the Handmade Harbour shop. What would you choose? There is also a winner's button now! And I will hopefully be inviting one of you back very soon to be a guest designer, too. Yay! 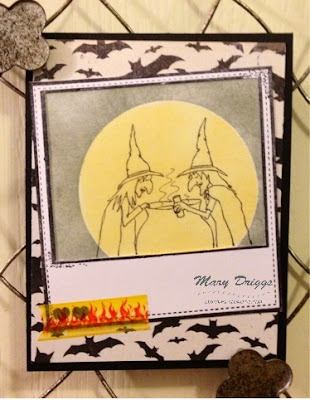 Mary's mind is obviously on Halloween...I love how this looks, with the witches in front of a full moon! 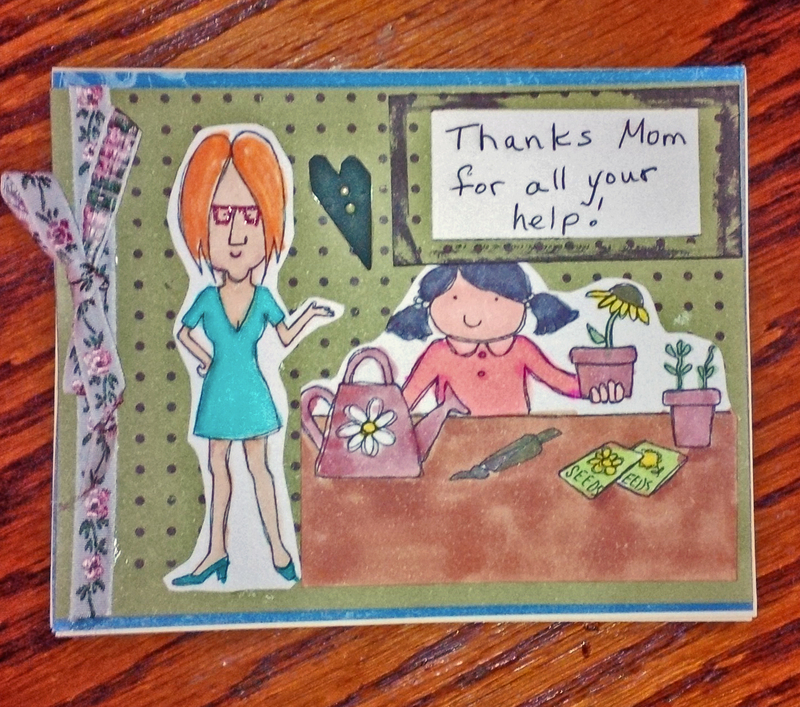 Look what Lynne has made this week (below) - I must admit I had never thought of being thankful for piles of laundry (ha! and definitely not for ironing!) but maybe this card will make me think about it from another viewpoint! I must admit this particular washing line looks really pretty with all the gorgeous colours and sparkles! 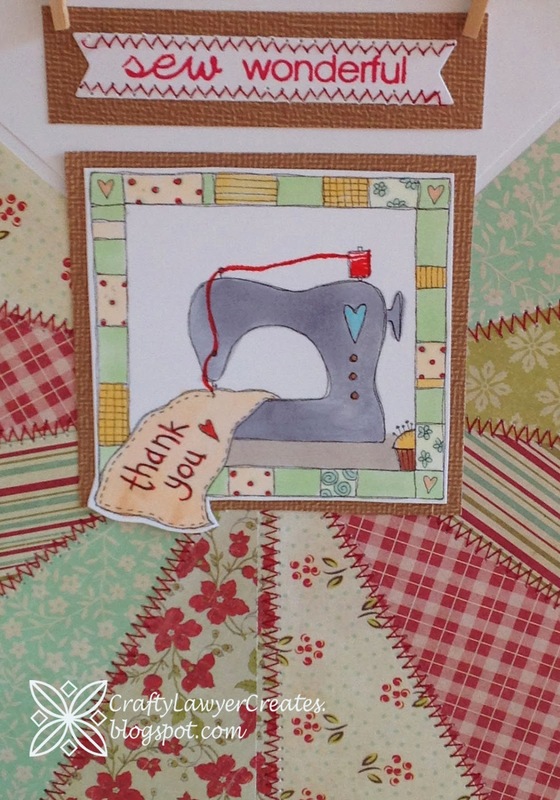 It's a gorgeous card, whether you can bring yourself to be thankful for laundry/ironing or not!! Val also has her mind on Halloween - this card below is just so pretty, don't you think? I love the detail - and just look at how the witch's gown and hat seem to shine - absolutely beautifully done. 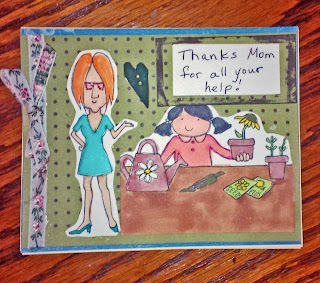 Connie has made a delightful card, combining two digis, which would be a good card for Moms/Mums everywhere! So sweet! I also love Connie's witches - don't you? That wording says: there are vegetarians coming over so it's eye of newt substitute. 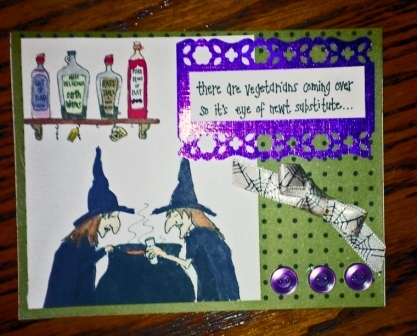 The wording is included in the witches and cauldron digistamp. 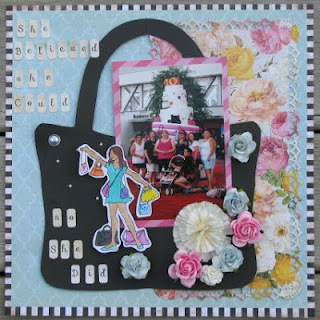 Another Connie has made a beautiful scrapbook page - I love the pretty girliness of this one! 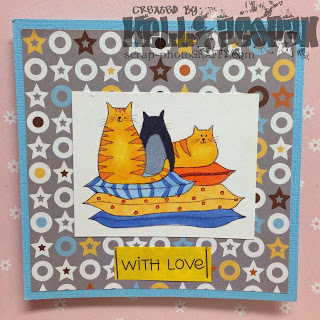 Last but not least is kel's card - these cats on cushions speak of happy days to me, how about you? 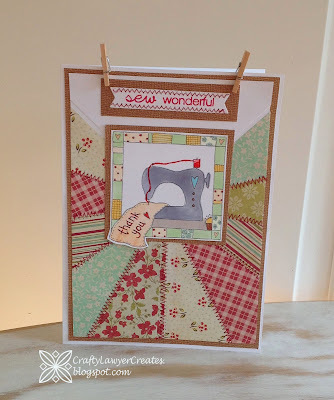 Pop over to kel's blog for more. It would be lovely to have you join in with your papercraft project this week! The theme of happy days might be one that would fit quite a range of projects! Gorgeous cards by the Design Team! How nice to see your link party is taking off. Can I ask you a quick question, nothing to do with papercraft. Craftsy have emailed me to ask if I would like to put Supplies or Pattern Craftlets in my sidebars. (I think it may be because I have got over 100 followers.) I initially said yes, but in my usual technophobic way I have got a bit bogged down technically. I'm sure with a bit of perseverance I will work out how to do this, but before I put in lots of effort and as I see you have them I just wondered how worthwhile you find it. Anything you can tell me would be helpful, and if you reply through my comments I won't publish it. @All: thanks for the lovely messages.